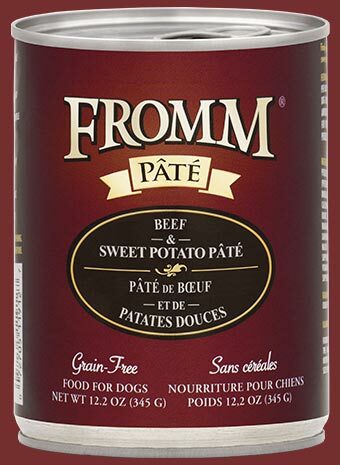 Beef, Beef Broth, Beef Liver, Sweet Potatoes, Lentils, Carrots, Potatoes, Peas, Tomato Paste, Salt, Potassium Chloride, Salmon Oil, Minerals, Calcium Sulfate, Xanthan Gum, Locust Bean Gum, Vitamins. 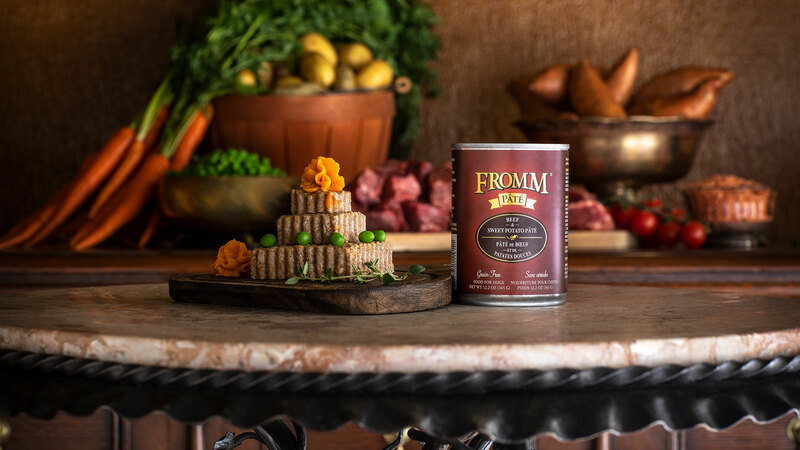 Chicken, Chicken Broth, Chicken Liver, Brown Rice, Carrots, Peas, Broccoli, Tomato Paste, Potassium Chloride, Salt, Salmon Oil, Minerals, Locust Bean Gum, Xanthan Gum, Vitamins. 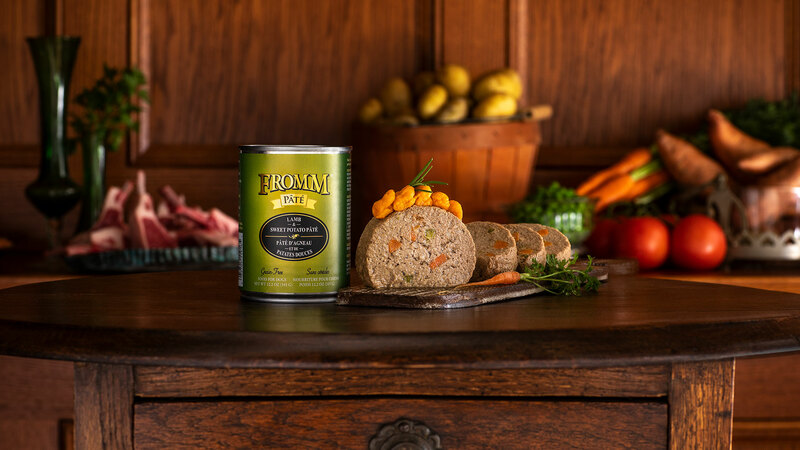 Chicken, Chicken Broth, Chicken Liver, Sweet Potatoes, Lentils, Carrots, Potatoes, Peas, Tomato Paste, Salmon Oil, Salt, Potassium Chloride, Minerals, Locust Bean Gum, Xanthan Gum, Vitamins. 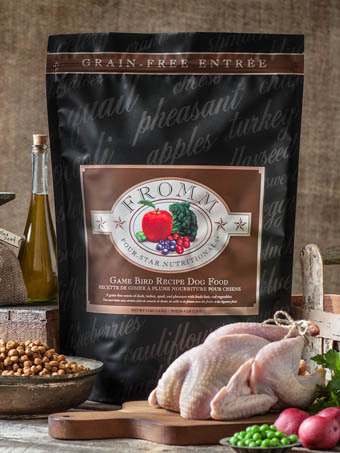 Duck, Duck Broth, Turkey, Sweet Potatoes, Turkey Liver, Lentils, Carrots, Broccoli, Apples, Salmon Oil, Calcium Sulfate, Minerals, Blueberries, Cranberries, Salt, Potassium Chloride, Xanthan Gum, Locust Bean Gum, Vitamins. 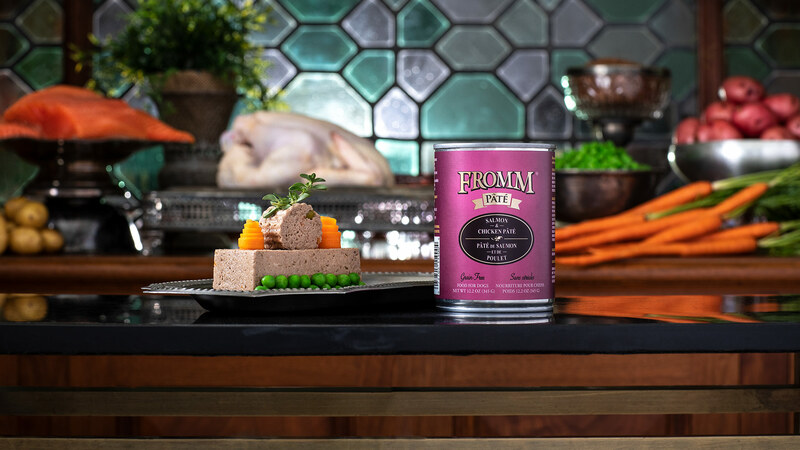 Salmon, Fish Broth, Whitefish, Tuna, Lentils, Carrots, Potatoes, Sweet Potatoes, Peas, Tomato Paste, Salt, Potassium Chloride, Salmon Oil, Minerals, Locust Bean Gum, Xanthan Gum, Vitamins. 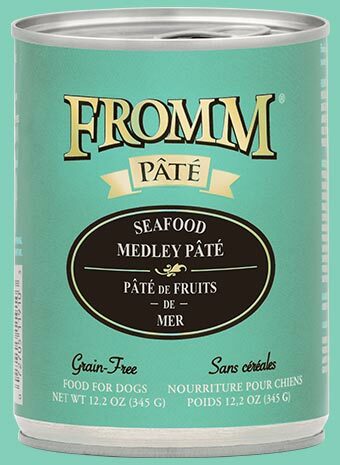 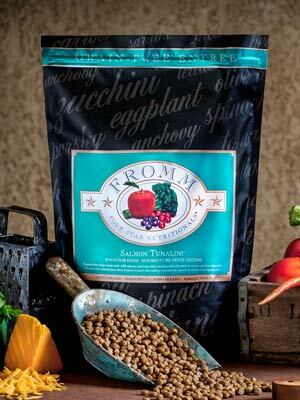 Seafood Medley Pâté is available for purchase through pet specialty stores both in store and online. 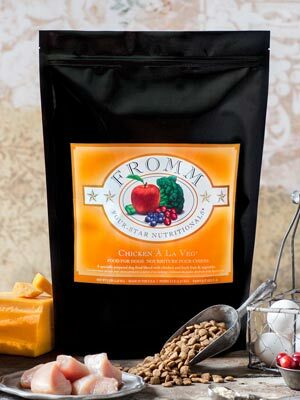 Call ahead to verify product availability. 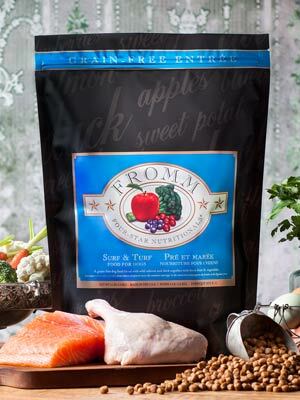 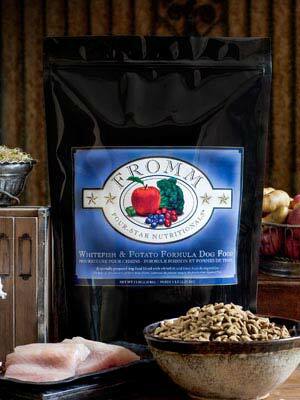 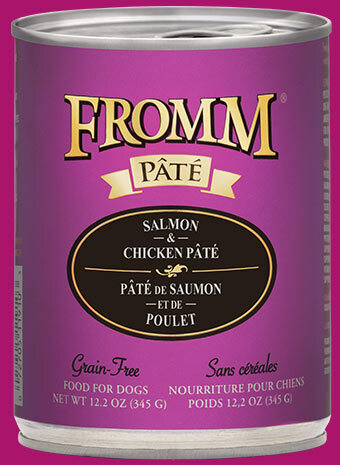 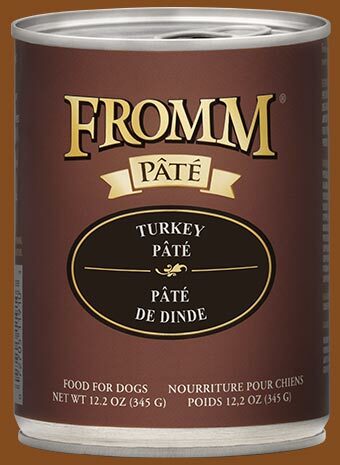 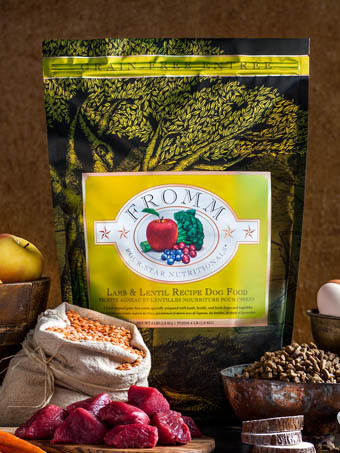 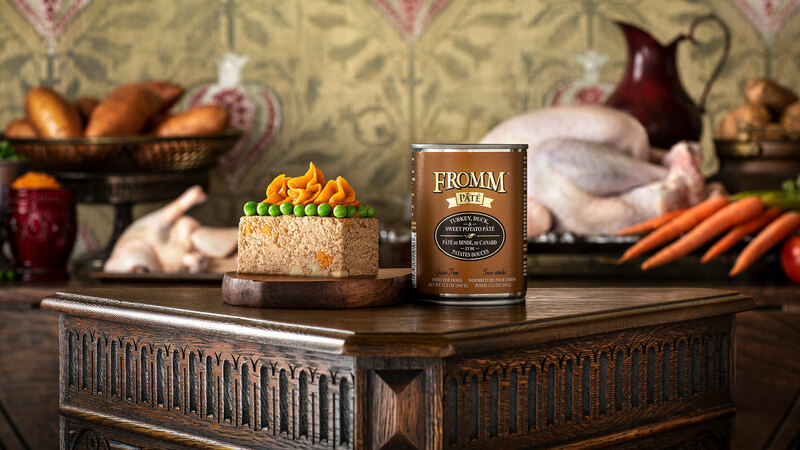 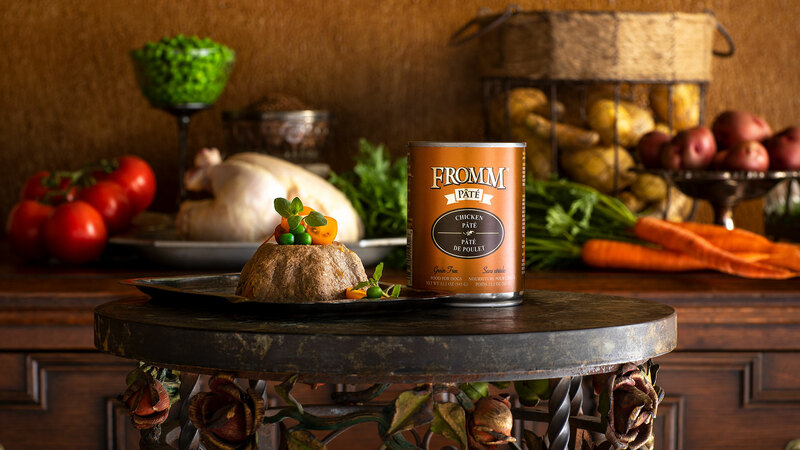 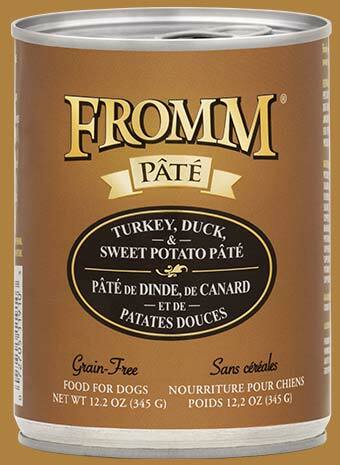 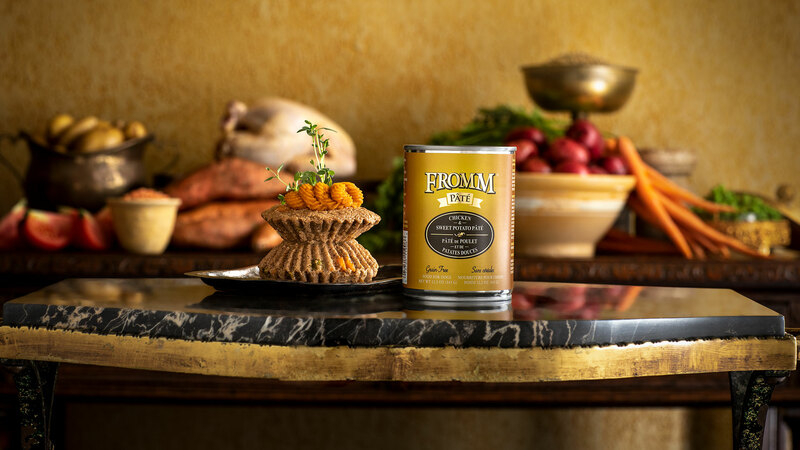 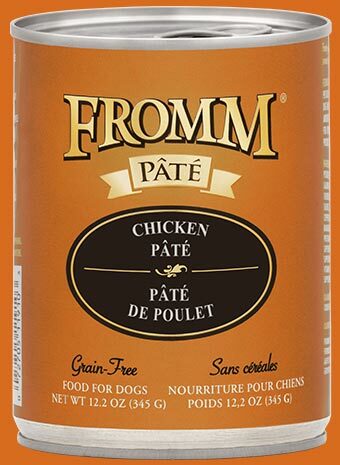 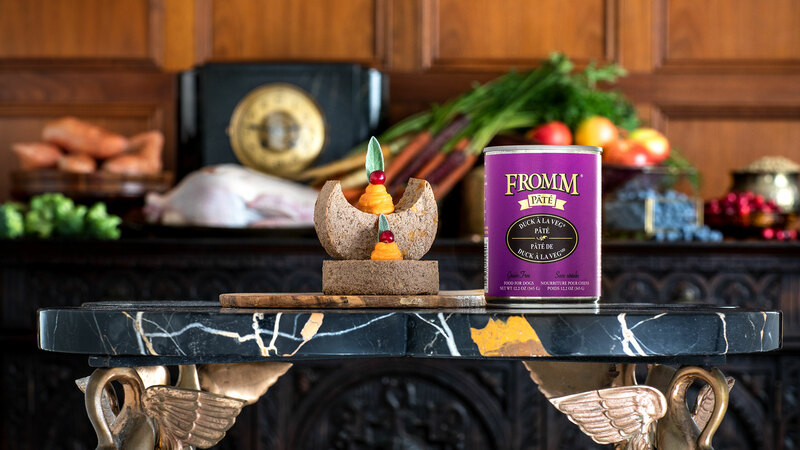 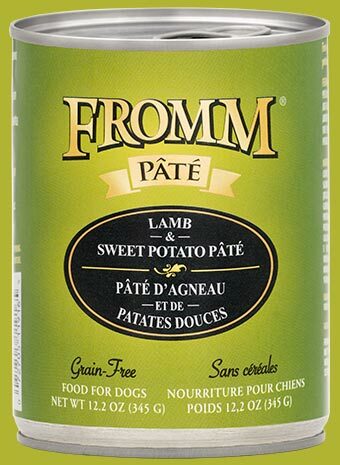 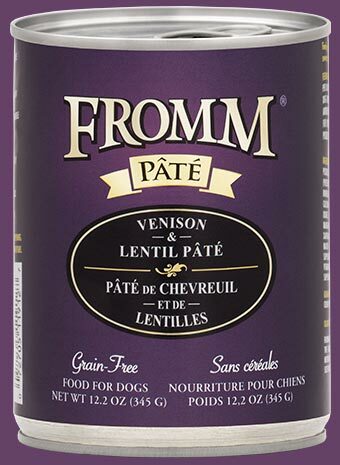 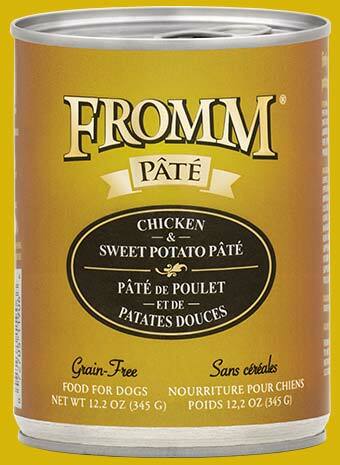 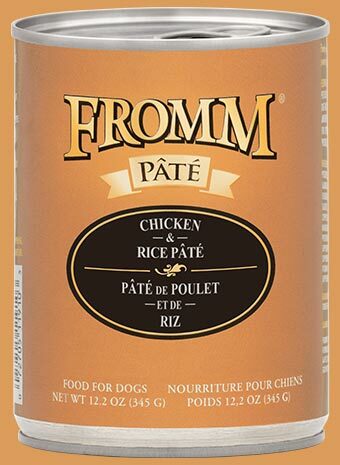 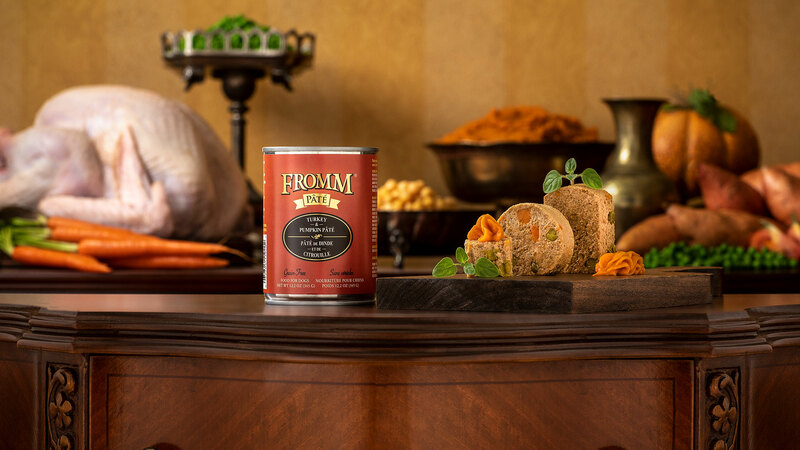 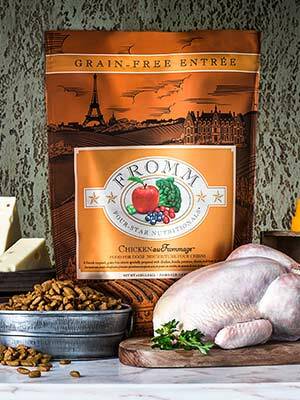 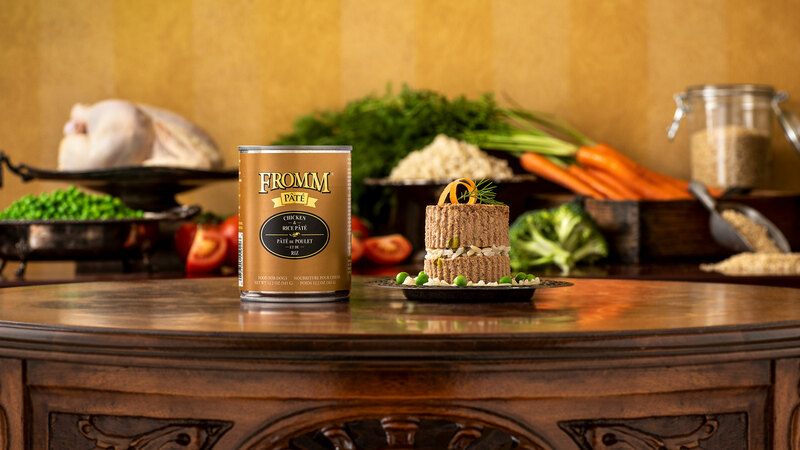 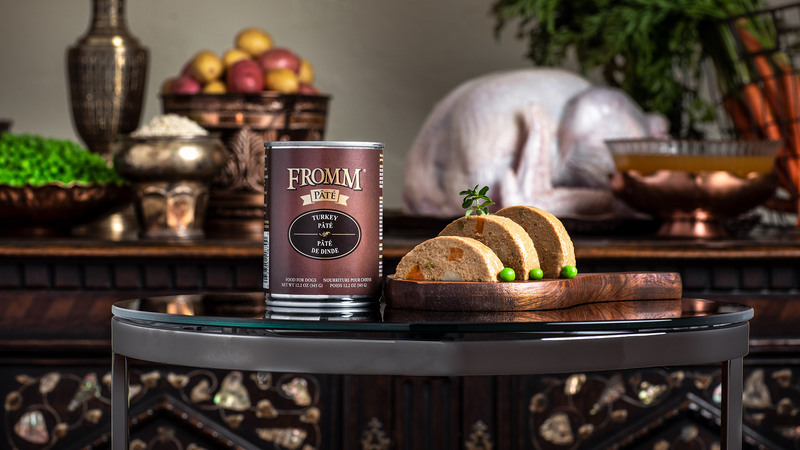 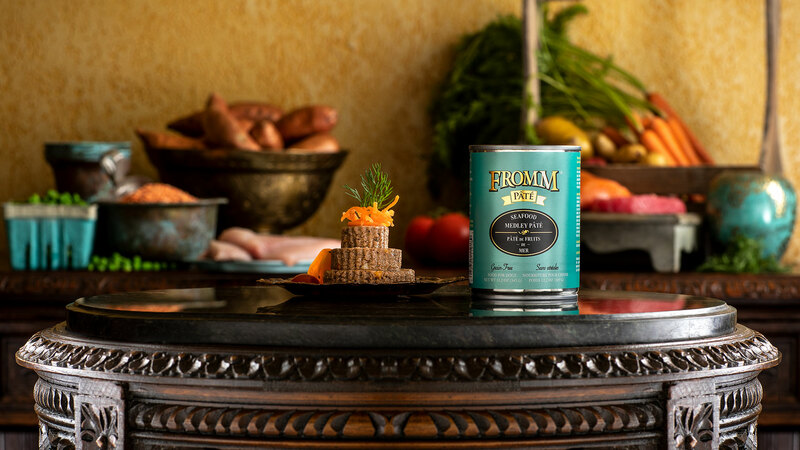 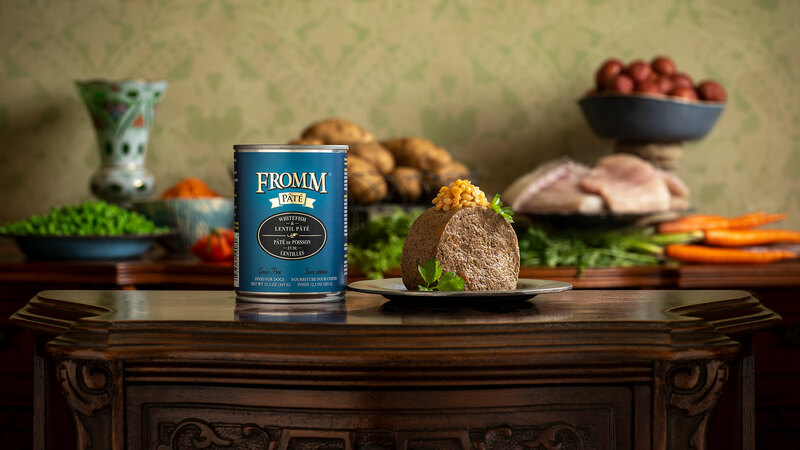 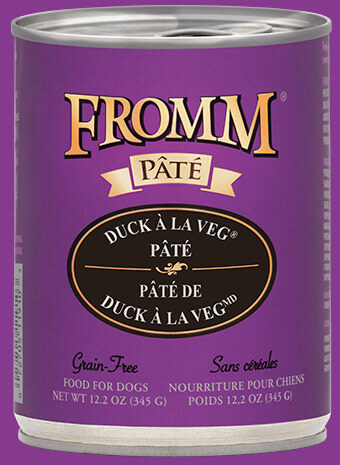 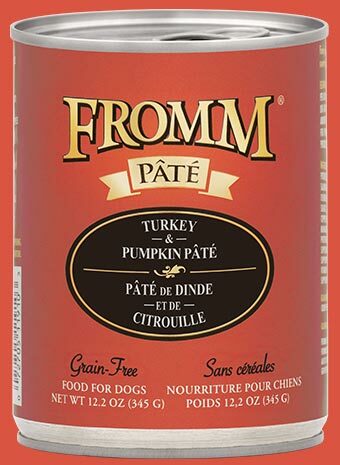 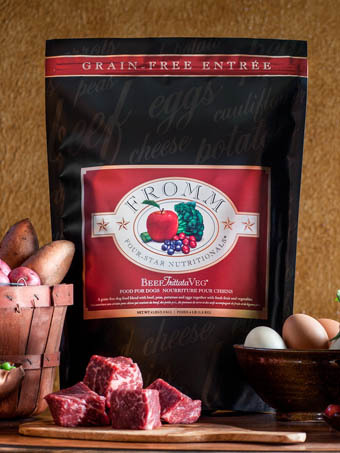 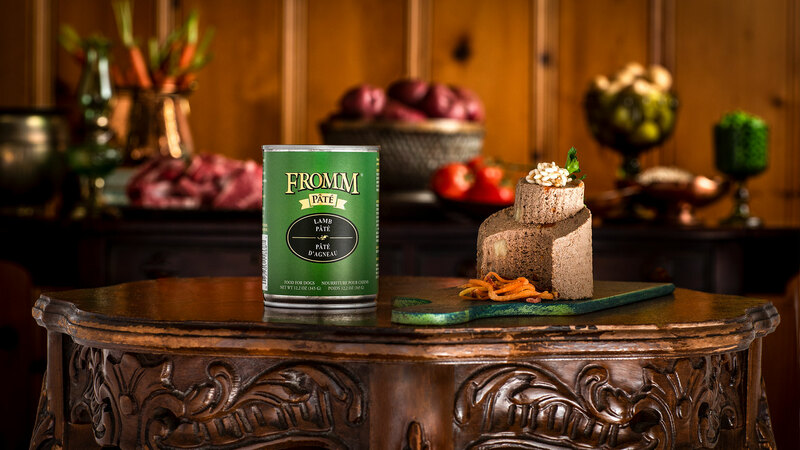 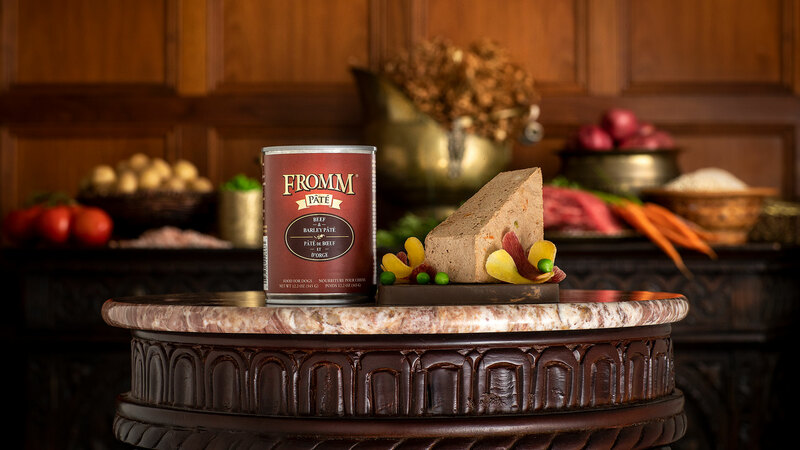 Fromm Turkey Pâté Food for Dogs is formulated to meet the nutritional levels established by the AAFCO Dog Food Nutrient Profiles for All Life Stages, except for growth of large size dogs (70 lbs. 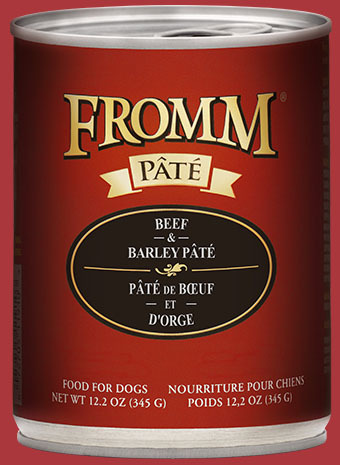 or more as an adult). 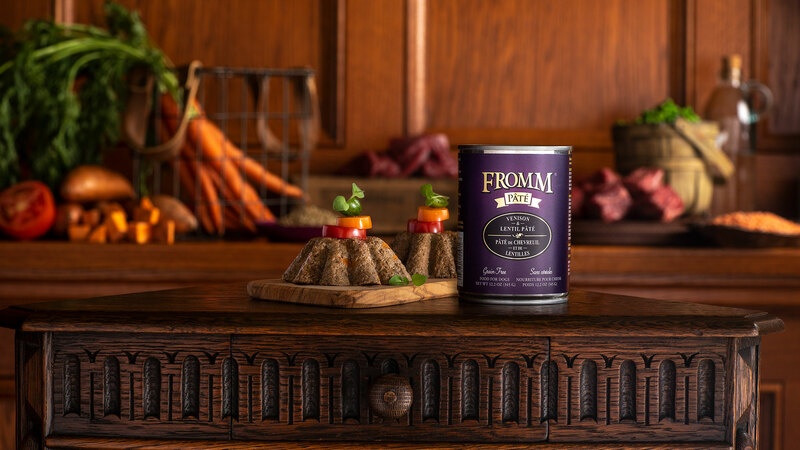 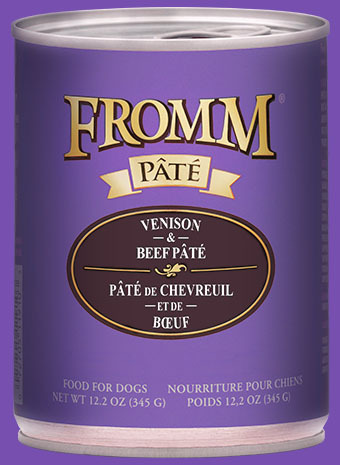 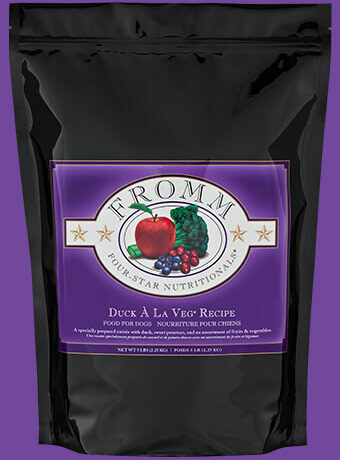 Fromm Venison & Beef Pâté Food for Dogs is formulated to meet the nutritional levels established by the AAFCO Dog Food Nutrient Profiles for all life stages, except for growth of large size dogs (70 lbs. 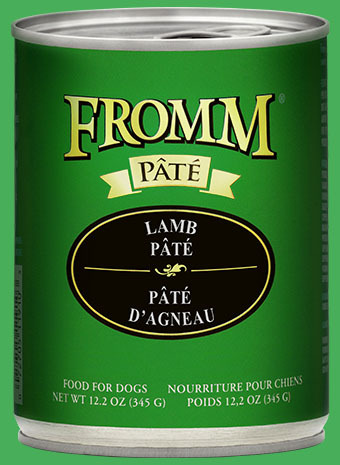 or more as an adult). 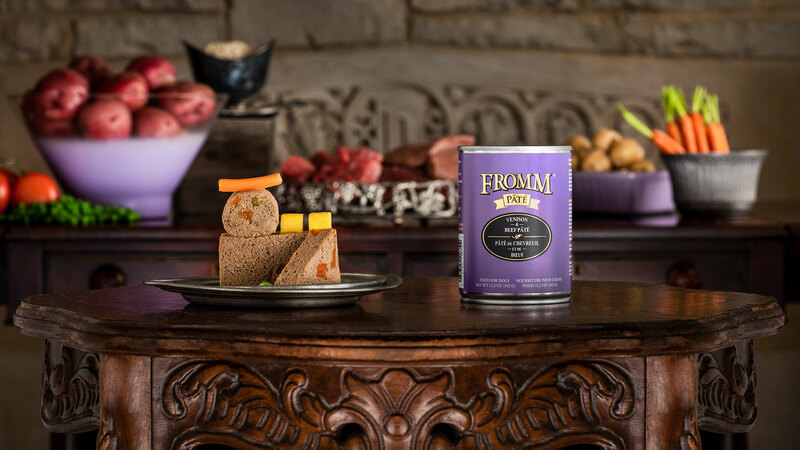 Venison & Beef Pâté is available for purchase through pet specialty stores both in store and online. 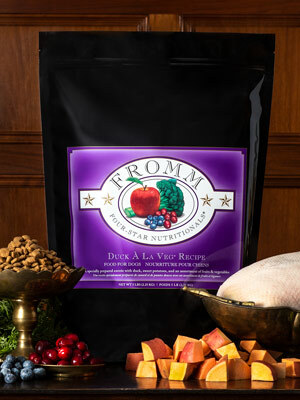 Call ahead to verify product availability.